Where Can I See an Emergency Dentist in Memorial? No one is ever quite prepared for a dental emergency; however, one in six Americans will be in this very situation this year. When facing an oral health emergency, it can be very overwhelming and scary. Where do you go? Who do you call? Dr. Gray is here to put your worries to ease to help you during the difficult time as an emergency dentist in Memorial. When facing a dental emergency, he provides the same-day care you need to quickly treat the problem to restore your oral health. Dental emergencies can take many different forms. As a result, it may not always be easy to determine whether you are having a dental problem that needs immediate care. Not matter the situation you are facing, Dr. Gray and his caring staff are always here for you. If you an unsure if you need same-day care, please contact our office. We will access the problem and instruct you about what to do next. When in an emergency, you need to respond accordingly to promote a successful outcome. We treat an array of dental problems that require immediate care. While you wait for your appointment, there are several things you can do in the meantime. Hold the tooth by the crown and rinse it with water. Be careful not to touch the root. Do not use soaps or cleaners and do not dry the tooth. If you can, reinsert the tooth back into the socket. If you are unsuccessful, place the tooth in a cup of milk. With the right care, we may be able to reinsert the tooth. When a tooth has been knocked out of position, gently try to place it back into its position and bite on a piece of gauze to prevent it from moving. Depending on the severity of the break, you may need immediate care. Avoid placing pressure on the tooth and keep the it clean. Use over-the-counter pain relievers to manage pain and cold compresses to help with swelling. Never try to fix a broken dental restoration at home. You need to have it properly repaired to prevent infection and further damage to the tooth. While you wait for the repair, use over-the-counter pain medications and cold compresses to manage pain and swelling. Avoid eating on the tooth and keep it clean. 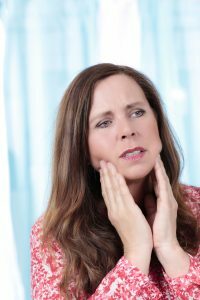 A severe or sudden toothache can indicate an infection of a tooth. If not treated, the infection and spread to other areas of the body. Contact our office immediately to have the tooth treated. If you have had a dental bridge, dentures, or partial dentures break, do not try to repair them and do not use them until after they have been fixed. Contact our office to schedule an appointment for the repairs. As your dentist in Memorial, Dr. Gray is always here for you, even during emergencies. Contact our office for a same-day appointment. Comments Off on Where Can I See an Emergency Dentist in Memorial?